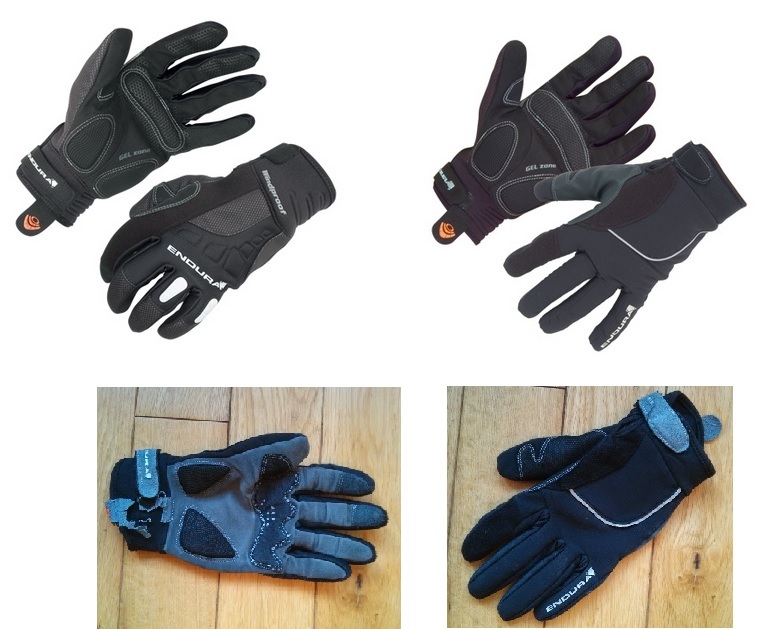 This review is going to be useless to you as Endura no longer make the particular model of Dexter gloves that are sat on the desk in front of me. That’s because I got mine on the 10th of June, 2008. Six years of pretty much solid use. Not bad going for gloves, eh? They no longer look particularly attractive and—to the consternation of other members of the DarkerSide household—it’s generally possible to locate them by smell alone. Still, I can’t think of any other item of cycling clothing I have that has seen quite such regular use over the entire period. 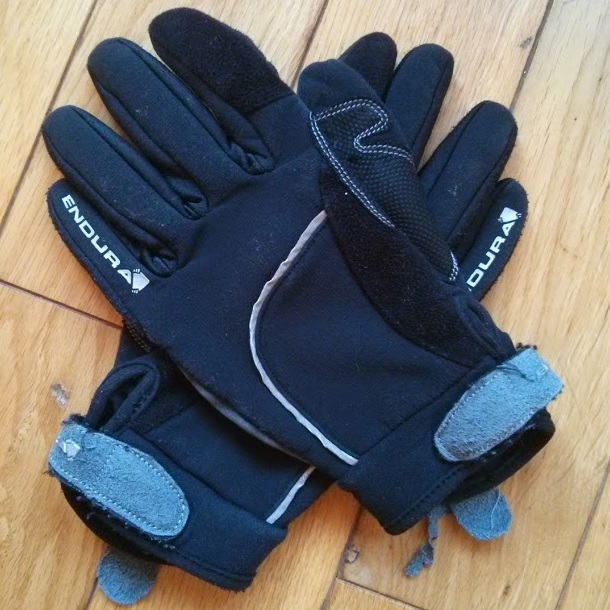 Therefore I feel reasonably confident in recommending Endura as makers of solid commuting long-fingered gloves. But back to the Dexters. If I can’t buy these, why should I bother reading any further? Endura sell an updated version of the Dexter, which I’m sure is very good. They also sell the Strike, which looks identical but also includes a waterproof membrane. Latest Dexter (windproof) top left, latest Strike (wind and waterproof) top right, my Dexters bottom. Wooden flooring, model’s own. My medieval internet connection can’t load pictures. Describe the Dexters to me. It’s a long-fingered glove; light enough for use on those chilly summer morns, but with enough heft to keep you snug into late autumn. They’ve got a fairly long neoprene cuff with a Velcro fastener and a tab to help you get them on. The rest of the glove is some kind of ripstop material (you know, with that fine square mesh weave?) and the back has a fine fleece inner lining. On the palm side you’ve got two lumps of padding on the heel of your palm and then another strip across the base of the fingers. The tips of your first two fingers have a strip of slightly grippier fabric for brake lever manipulation. Between your thumb and first finger there’s some rubbery webbing to give a bit more handlebar grip (and to protect from uncooperative Rohloff shifters, coincidentally). On the backs you’ve got nose rags running the length of the first finger (take note, Gore…), some reflective piping over the back of the hand, and finally a reflective logo on the back of the pinky finger. But really, you ought to get that download speed sorted. There are loads of gloves that cost about £25. Why these? The fabric weight and articulation is spot on, so when you’re shifting gear or going for the brakes it doesn’t feel like your fingers have become fat, numb sausages. 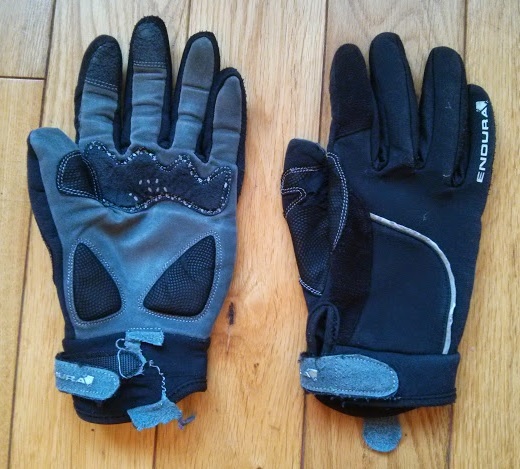 There’s no loose material at the end of fingers and all the bits of padding are just where you want them. Grip is good, including in the wet. Talking of the wet, although the Dexters aren’t waterproof it does take a while for rain to penetrate. When it does finally get through, the windproof-ness helps to keep them damp but warm. Temperature ratings obviously depend on your personal tolerances, but I’m good down to about freezing in them (although the recumbent position does tend to shield your fingers from the worst of the wind). In short, they’re ideal for most Scottish weather outside the depths of winter. 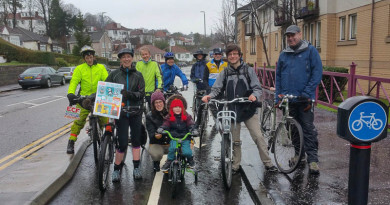 Which you’d expect, given Endura are based in central Scotland. Surely it’s not all good? They’re not hugely breathable, but then you’re not really paying enough for that (£24.59 on both Evans and ChainReactionCycles). I’d prefer more reflective stuff on the back if I’m being picky (although I note that the latest Dexter model does have a couple of extra shiny panels on the fingers). I could pick out the various bits that have worn away, but that seems churlish after six years. Anyway, none of the wear is really more than cosmetic. So you wear these all the time? 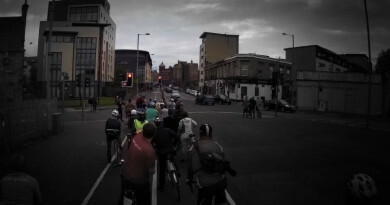 I challenge anyone commuting year-round in Scotland to get away with a single pair of gloves! 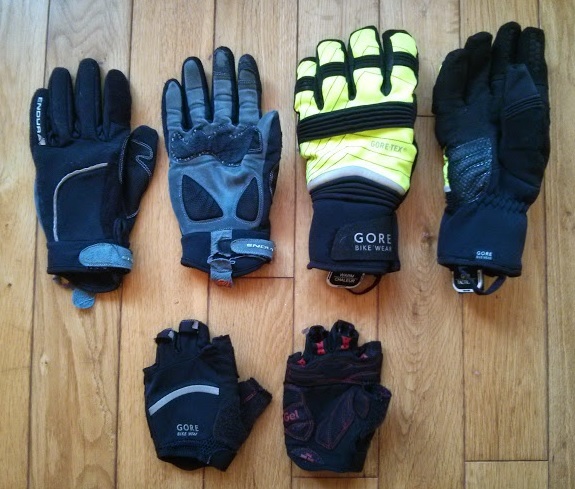 In warmer weather (we do get some, honest) I’ve got a tasty pair of Gore Oxygen fingerless things, and when it really gets nippy I break out the Fusion winter gloves (also by Gore). For everything in between, the Dexters are spot on. It’ll be a sad day when they eventually fall apart (or absorb so much sweat they’re able to wriggle off by themselves).